Virtual Environments - Agentless solution includes image-level backups and single-file restore options. 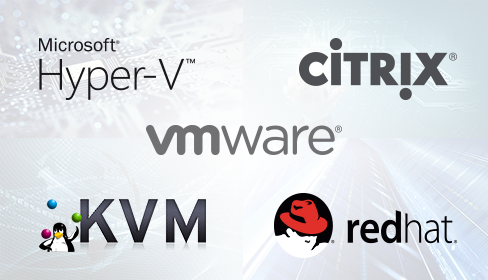 Supported platforms: VMware, Hyper-V, RHV, Citrix XenServer, and Xen. Disaster Recovery - Bare metal restore for Windows & Linux to similar or dissimilar hardware. 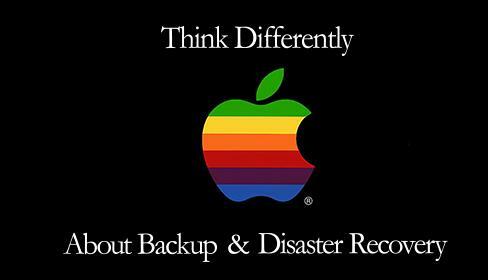 SEP Software’s world-class backup and disaster recovery solution is available for Mac OS X. Protect your Mac servers, laptops and workstations with a single, easy-to-use backup solution. Access data from any location and restore it to any location. Manage remote backup servers from one console with SEP sesam's simple GUI architecture. 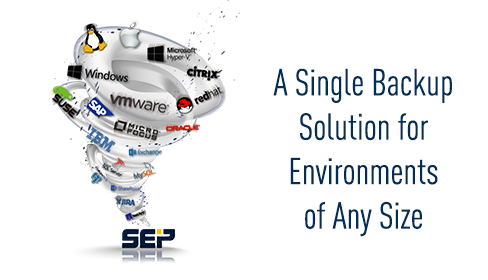 Supporting the widest range of operating systems and databases, SEP offers a single solution to manage any heterogeneous environment. Á la carte licensing reduces costs and allows users to customize services as company needs expand and budgets allow. "It's clean, it's fast and it just works. SEP sesam's performance is a night and day difference compared to our old solution. I've been very impressed and would recommend this software to anyone!" The SEP sesam solution provides everything we were looking for and has been a real value both in time saved on manpower and backup speed. "The software was so easy to install compared to our last solution I had to call SEP to make sure everything was really installed correctly." "When you're capturing huge amounts of environmental research data that is unique and precious then it is vital that you have a backup solution you can rely upon. We selected SEP sesam, due to its robust and scalable nature and because it supports a wide range of operating systems"
"I've been in the industry for 30 years and this is the best software I have used in that time. Not limited to backup software either. I mean the best software, period." "Thanks to SEP sesam we had reliable backups immediately, and now restoring our critical data is fast, easy and accurate." "After extensive testing we are completely satisfied that we've found the best possible solution at the best price on the market today." "Since installing SEP sesam, the time we spend working on backup-related issues has shrunk by a factor of 90%. In addition, the acquisition cost for SEP sesam was less than our annual maintenance fee for the old backup solution." "The performance of SEP sesam went above and beyond what we expected of the product.... The time it takes to complete a full backup has decreased by 235%!" "We evaluated and tested quite a few different backup software solutions over a three-year period, and nothing fulfilled our needs until we tried SEP sesam." "SEP sesam on Red Hat Enterprise Linux 5 enables us to reliably secure and back up even our most sensitive data. ... Another asset of the new backup and recovery system is its cost effectiveness." "We're backing up all our servers from VMware virtual servers to physical Microsoft and Linux servers. 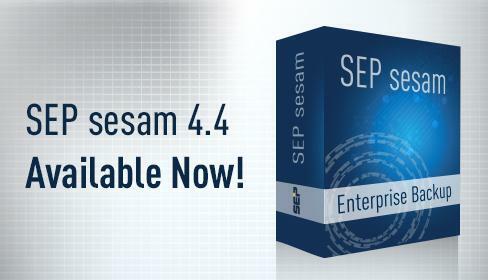 SEP sesam allows us to use one software for every platform. No other software we looked at came close."